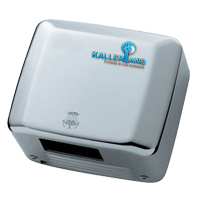 Stainless Steel Hand Dryers from Kallerians are best of its class in the bathroom automation. 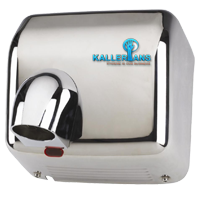 Our Stainless Steel Hand Dryers are made from high grade stainless steel for ultimate durability, design and unbeatable performance. The hot air from our hand dryers not only dries your hand clean, but also disinfects and kills invisible micro organisms and germs from your hands. 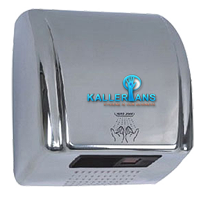 Stainless Steel Hand Dryers comes in two type of exterior finishing. 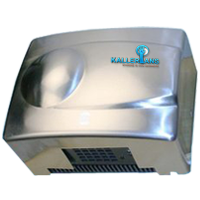 Our hand dryers can be integrated into any type of interior designs of hotels, restrooms, bathrooms, commercial washrooms and wherever health and hygiene is necessary. 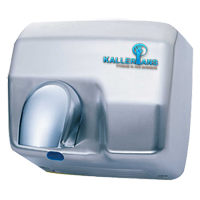 Kallerians is the leading supplier and distributor of all kinds of Automatic, Stainless steel hand dryers in chennai, India.